RICHARDSON, James Daniel, a Representative from Tennessee; born in Rutherford County, Tenn., March 10, 1843; attended the country schools and Franklin College, near Nashville; during the Civil War entered the Confederate Army before graduating from college and served nearly four years, the first year as a private and the remaining three years as adjutant of the Forty-fifth Regiment, Tennessee Infantry; studied law; was admitted to the bar and commenced practice January 1, 1867, in Murfreesboro, Tenn.; member of the State house of representatives, 1871-1873; served in the State senate, 1873-1875; delegate to the Democratic National Conventions in 1876, 1896, and 1900; presided as permanent chairman at the last-named convention; chairman of the Democratic congressional committee in 1900; editor and compiler of the Government publication entitled "Messages and Papers of the Presidents"; elected as a Democrat to the Forty-ninth and to the nine succeeding Congresses (March 4, 1885-March 3, 1905); minority leader (Fifty-seventh Congress); died in Murfreesboro, Tenn., July 24, 1914; interment in Evergreen Cemetery. Papers: 1898. 2 volumes (453 items). Letters received from Members of Congress, newspaper editors, and other prominent persons, relating to Messages and Papers of the Presidents, 1789-1897, which he edited. Richardson, James Daniel. Trade with Puerto Rico ... Speech of Hon. 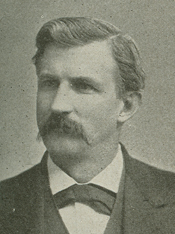 James D. Richardson, of Tennessee, in the House of Representatives, Monday, February 19, 1900. [Washington: Government Printing Office, 1900]. ------. Hawaiian annexation and our foreign policy. Washington: [Government Printing Office], 1898. Richardson, James Daniel, comp. Tennessee templars. A register of names, with biographical sketches, of the Knights templar of Tennessee, and brief histories of the grand and subordinate commanderies. Nashville: R. H. Howell & Co., 1883.